President Muhammadu Buhari on Tuesday hailed his predecessor, Goodluck Jonathan, for voluntarily conceding defeat at the 2015 general election, describing him as a true democrat. 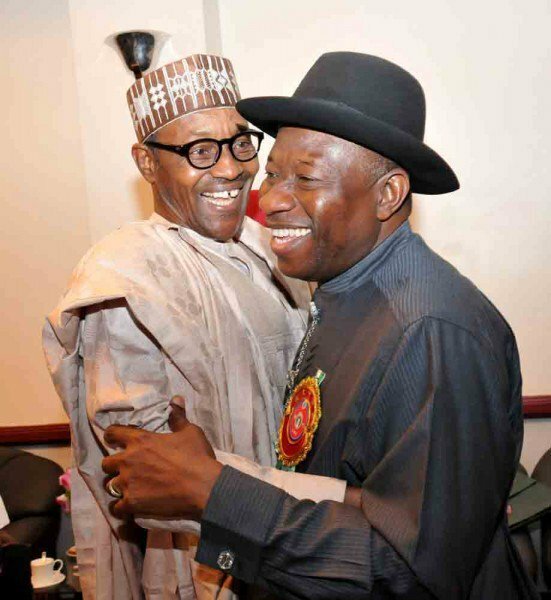 Buhari made the comment at the launch of Jonathan’s book titled ‘My Transition Hours’ in Abuja. Represented by Boss Mustapha, secretary to the government of the federation, the president said Jonathan’s act of courage had made him a patriotic leader and earned popularity among Africans and other leaders. He called on Nigerians to see elections as contests and should be done in a free, fair and peaceful environment. He said Nigerians should eschew bitterness, bigotry, hate speech and “promote Nigeria for us and generation yet unborn”. Adams Oshiomhole, national chairman of the APC, former Vice-President Namadi Sambo, Senate President Bukola Saraki, ex-PDP governors and many members of the political class, traditional rulers and members of the diplomatic corps also graced the event.